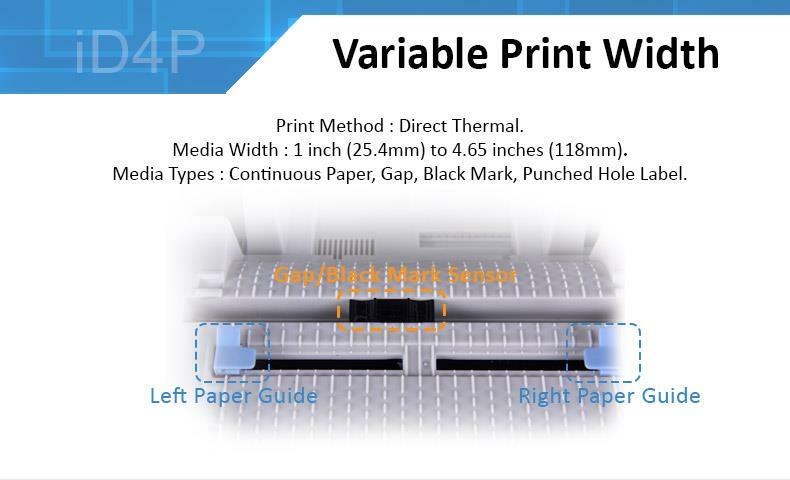 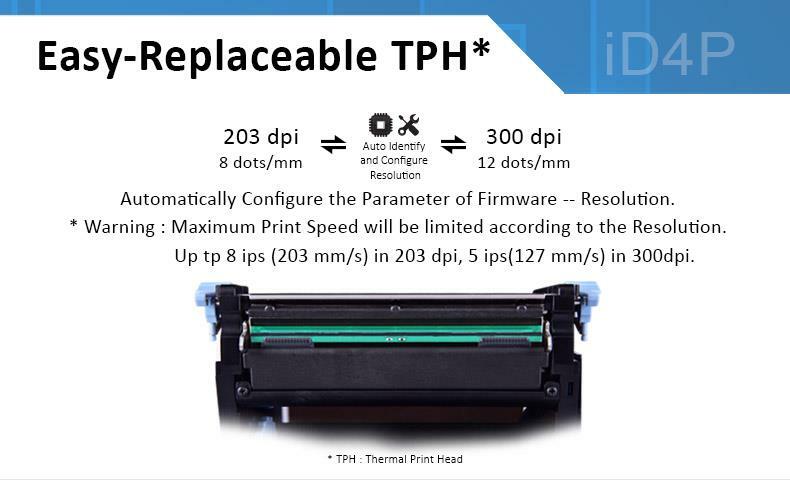 1 High printing speed (8ips for 203dpi, 6ips for 300dpi). 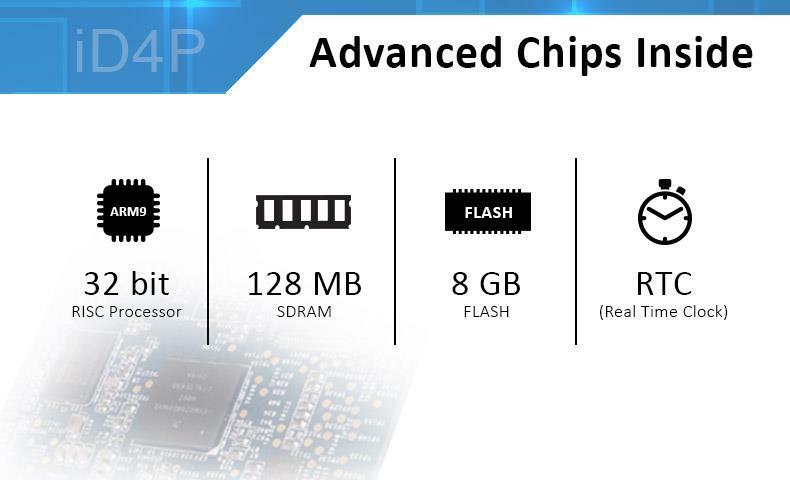 2 Big storage memory 128MB SDRAM, 8GB flash with 32bit processor. 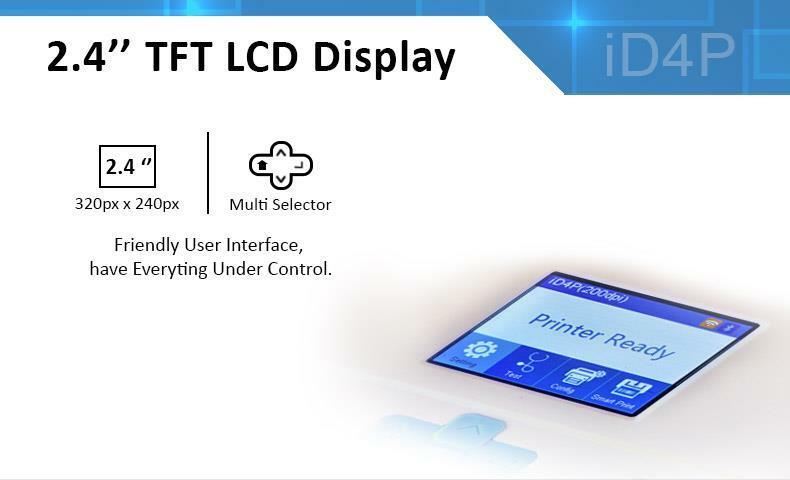 3 2.4 inch color LCD screen with parameter controlling buttons. 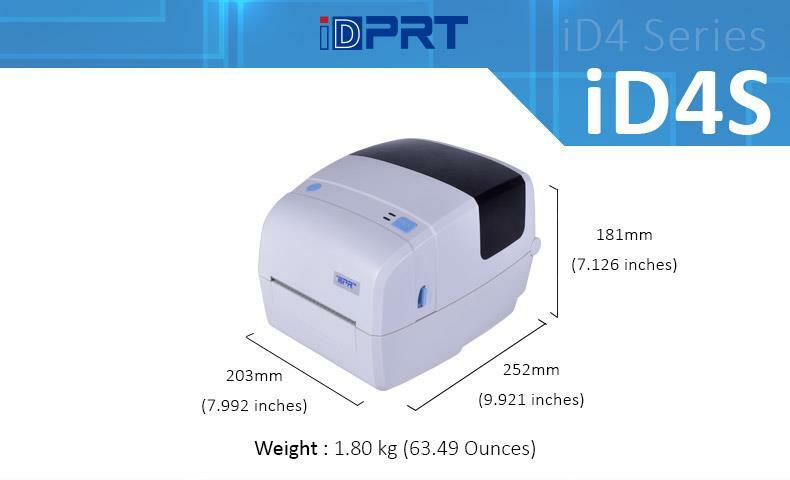 4 It is best for government, retail, manufacturing, transportation and other special application. 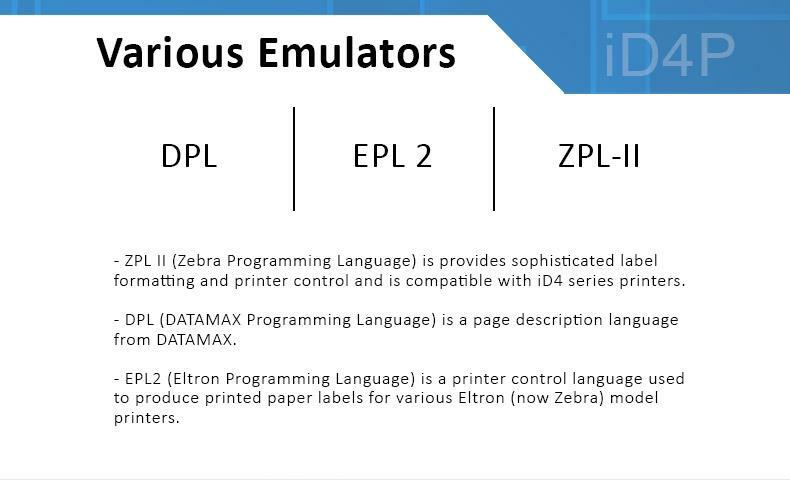 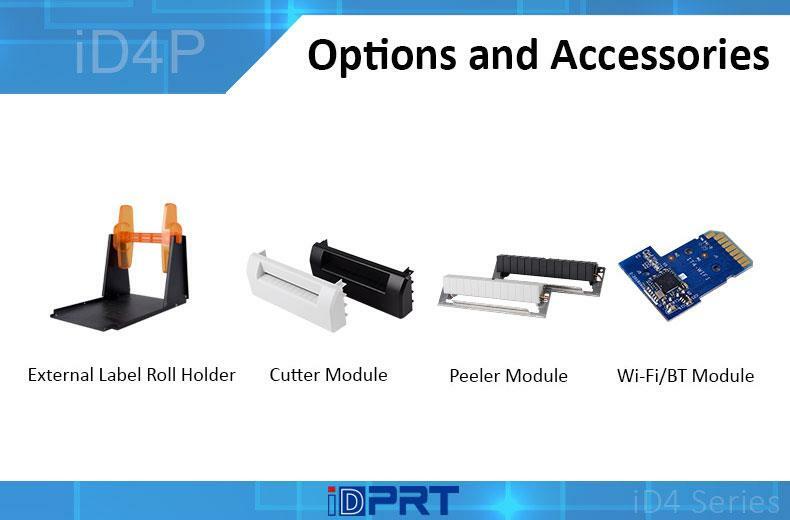 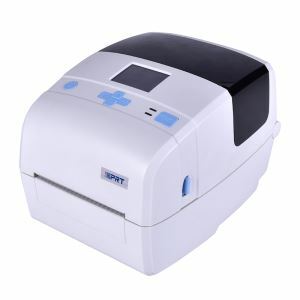 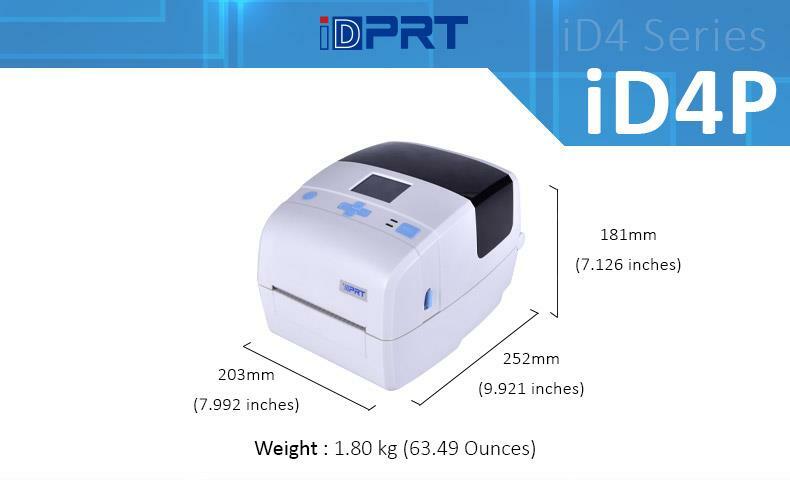 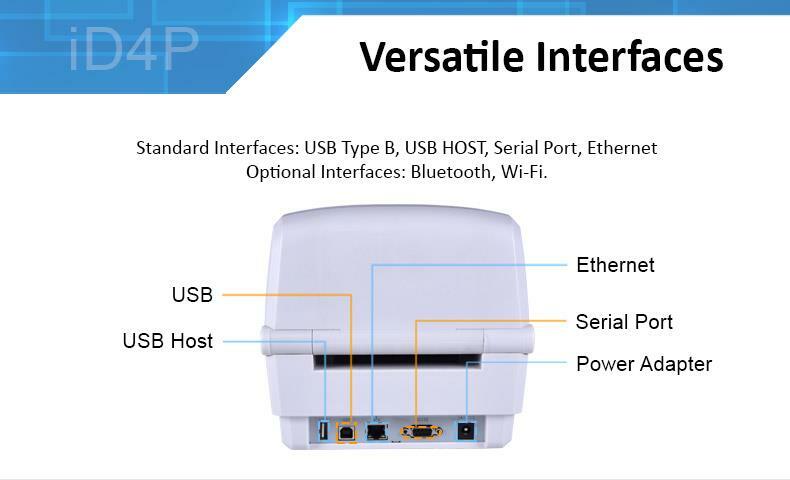 iDPRT desktop label printer is smart enough to identify the printer heads with different solution intelligently and configure itself automatically, and frees the users from the complicated configuration.